The Holiday Bowl is a premier bowling center catering to Bergen County NJ Bowling Leagues. Located in Oakland (Northern New Jersey), we offer 24 Lanes, Automatic Scoring, A Full Service Bar, Private Party Rooms, A Full Service Snack Bar, Arcade, Full Service Pro Shop, free Wi-fi and an ATM Machine. 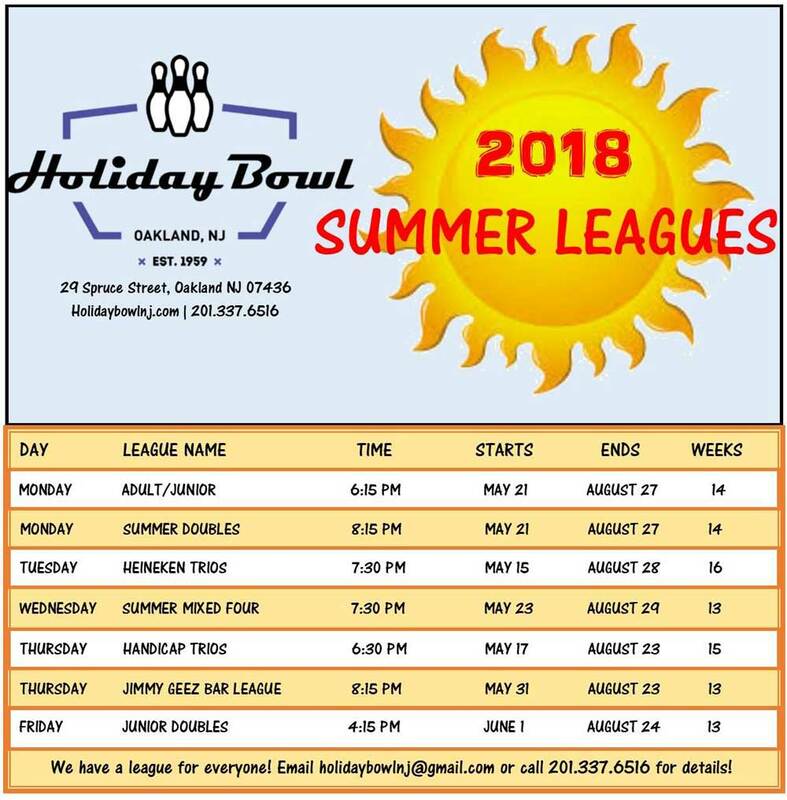 Holiday Bowl is now offering options for your bowling league play!